Pomona Electronicsbber provides users with Category III overvoltage protection up to 1,000 volts per IEC1010-2-031 requirements. It features a narrow design, offering easy access to tight locations and narrow spaces. The ergonomically-designed device is offered in several of the company's test lead kits. It is also available as one or both ends of a patch cord. Pomona Electronicsbber patch cord is offered with the right angle sheathed banana plug, the sheathed banana jack, straight sheathed banana plug, multi-stacking banana plug, retractable sheath banana plug and straight banana plug patch cords. 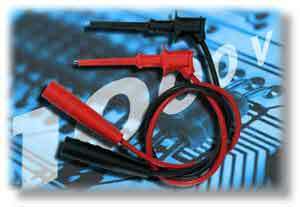 The product is also offered as one end only or both ends of the patch cord.